Today we rode the steam train at Oaks Park. 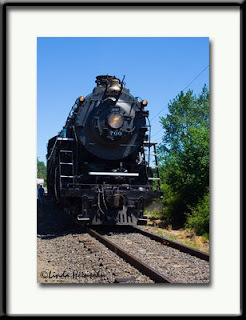 This is the Spokane, Portland and Seattle 700, the third largest operating steam engine in North America. The SP&S 700 is owned by the City of Portland. The Oregon Public Railroad runs it at Oaks Park a couple of times a year as a fundraiser.